TV3 is continuing with its original content slate as a new six-part comedy gears up for its premiere on the commercial broadcaster next week. ‘On The Couch’, an original comedy from Fubar Films, is the latest in a long line of original series TV3 has commissioned in the last year. The show, billed as a ‘tragi-comedy’ by producers, follows three different couples embarking on therapy for the first time. Audiences will follow Carmel and Brendan, Sylvia and Dudley, Graeme and Moya on their therapeutic journeys, as they discover that once a can of worms is opened, it cannot be closed again. The series was filmed at the Old Distillery in Smithfield in January and February of 2012. Barbara Bergin and Gary Cooke created the series, with Fiona Bergin producing for Fubar. Barbara Bergin directed, while IFTA-nominated DoP PJ Dillon (Game of Thrones) was on camera duties. Susie Cullen (Raw) was the production designer, with musician Peter Delaney looking after sound. 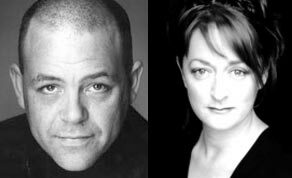 Both Barbara Bergin (Intermission) and Gary Cooke (Apres Match) also star in the series. Post-production was completed in the summer of 2012, with Úna Ní Dhonghaile (Ripper Street) editing for Egg Post Production. The series kicks off a six-week run on TV3 on Tuesday, February 12. Ben Frow commissioned for TV3. The series joins TV3’s other original shows ‘Deception’ and ‘Adoption Stories’, both of which are currently airing. Last week, it was announced Jeff Ford, former director of programming at Channel 5, would take over Ben Frow’s position at TV3 from February.